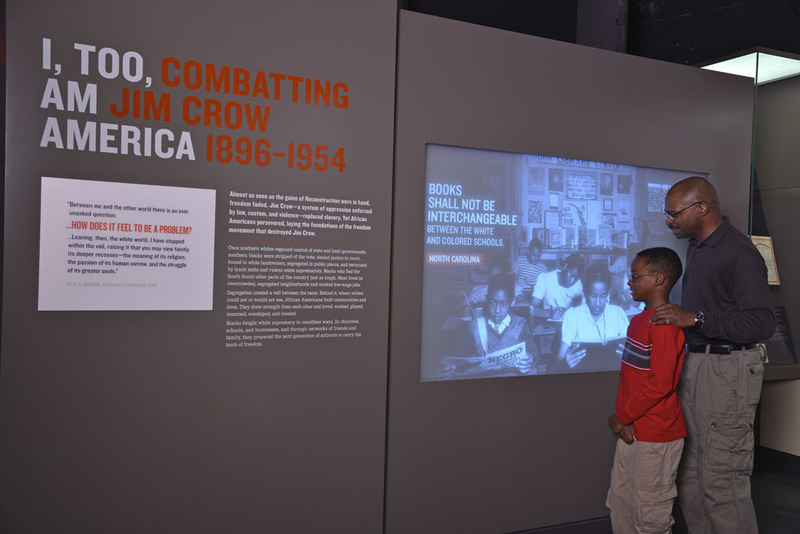 Visitors may review the timeline of amendments and legislation that granted rights to African Americans, followed by the sequence of laws and Supreme Court decisions that struck down these gains and established "Separate but Equal" as the law of the land. Through historic photographs and legal text, visitors see the vibrancy of the black community despite segregation. Oral histories provide first-person accounts about life under Jim Crow.